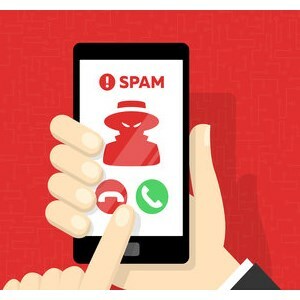 The directors of two UK companies have received several-year bans after allowing their respective firms to make hundreds of thousands of nuisance calls and texts. Aaron Frederick Stalberg, (27), from Exmouth, was director of market research and polling business The Lead Experts, which made 115,000 illegal automated marketing calls to members of the public. The messages didn’t reveal the name of the company, and it also tried to hide its identity by routing calls through Buenos Aires, according to a notice by the Insolvency Service and the Information Commissioner’s Office (ICO). After denying everything to the data protection watchdog, the firm failed to respond to a £70,000 ICO penalty, leading to a six-year directorship disqualification against Stalberg. “By working closely with The Insolvency Service we have been successful in stopping the unscrupulous activities of company directors like Aaron Stalberg who cause upset and distress to millions of people who are on the receiving end of this kind of illegal marketing activity,” said ICO investigations group manager, Andy Curry. In a similar case, 51-year-old Keith Nicholas Hancock, was handed a four-year ban after his company — lead gen and data brokerage Lad Media — sent over 393,000 SMS messages to members of the public who had specifically removed their consent. Although the firm protested that the data list was obtained through a data supplier and the text messages were sent on its behalf by another third party, it was fined £20,000. However, Hancock never paid the money, so the firm was shut down and investigators submitted a disqualification undertaking against the director. “There is clear guidance on the internet about what communications you can send to people when it comes to marketing so there is no excuse about not knowing what your responsibilities are,” said David Brooks, chief investigator for the Insolvency Service. The news proves the ICO is finally able to flex its muscles and show directors of nuisance call/text companies that there are consequences to their actions. In December it was granted the power to fine directors directly up to £500,000 for their part in any such activities that break the Privacy and Electronic Communications Regulations (PECR). That came after a significant lobbying campaign and several big ticket PECR fines going unpaid as the directors in charge simply filed for bankruptcy — leaving them free to start other similar businesses.